Lash Lift is a new keratin based lash enhancement treatment. Instead of doing a traditional perm that simply curves your lashes, Lash Lift actually turns the eyelashes upwards and adds tint to give them length, height and volume, and an appearance of having longer and thicker lashes. 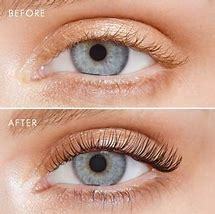 The advanced technique is designed to boost and lift the lash and offers an excellent alternative to extensions. The whole process takes around 45 minutes and will last the life of your eyelashes (approx 6 to 8 weeks). No more waking up with false eyelashes* on your pillow or spidering down your face. First and most importantly, it doesn’t harm the fine hair of your lashes. It is specifically designed and developed with the latest innovative technology that is virtually damage free and it’s an easy process too. If you are lucky enough to have thick, strong, healthy lashes that lengthen easily with a good mascara then LVL is the more cost effective, less maintenance option to eyelash extensions. For those who would like even more volume and length, we highly recommend adding Latisse to our beauty regimen for the ultimate in natural in eyelashes! While you can certainly do Lash Lift prior to getting extensions, any people are starting to move away from extensions due to time and/or money restraints. However, it may also complement the application of lash extensions, to facilitate their applications when your lashes are too straight or too curved! LVL is a treatment for your natural lash, no lash extensions needed. LVL lasts up to 6 to 8 weeks, the natural life cycle of an eyelash. Appear more alert & wide awake without using eyelash curlers & mascara every morning. LVL takes just approximately 45 minutes. LVL offers an anti-ageing effect, brightening & lifting the eye area. The treatment incorporates a color boost giving an immediate, visible difference. Great for those with lighter color lashes (especially blondes!) – or anyone looking for a thicker “mascara” look (without having to wear mascara). A lash tint will make your lashes appear darker, thicker, and longer – and last for weeks. 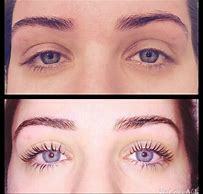 Eyelash Extensions need to be removed at least 3 days to 1 week prior to appointment. For best results do not use waterproof mascara or curl your lashes 5 days prior to your treatment. Remove any eye makeup with oil free makeup remover the day prior. It’s recommended to wash your hair prior to your appointment because you may not for 48 hours afterwards. Use oil free make up remover wipes to wash your face after the treatment.